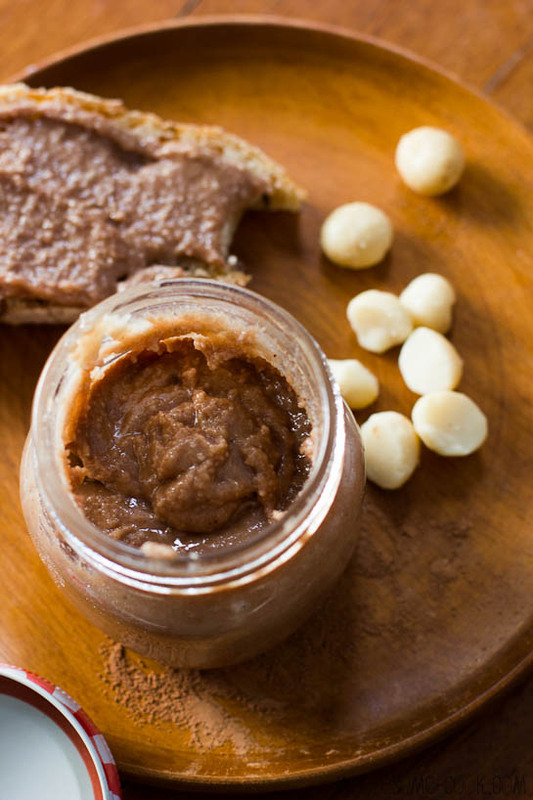 This super simple sugar-free macadamia nut butter spread is made with the goodness of just one ingredient macadamia nuts! Make it indulgently chocolatey too by adding a little raw cacao to the mix and some stevia drops for sweetness if you wish. While it’s not quite the same as Nutella, it definitely is the healthier option. Macadamias, with their sweet buttery flavour and texture that’s silky with a soft crunch, are one of my favourite nuts, mainly because they are extremely versatile for kitchen use and, once shelled, are easy to use too. They are high in omega-3 fatty acids and go well in brownies, ice creams, crusted onto fish and, as I found out at the Australian Macadamia season launch on Thursday, they make a great thickener for soups. What many people don’t realize about this tree nut is that they are native to Australia. 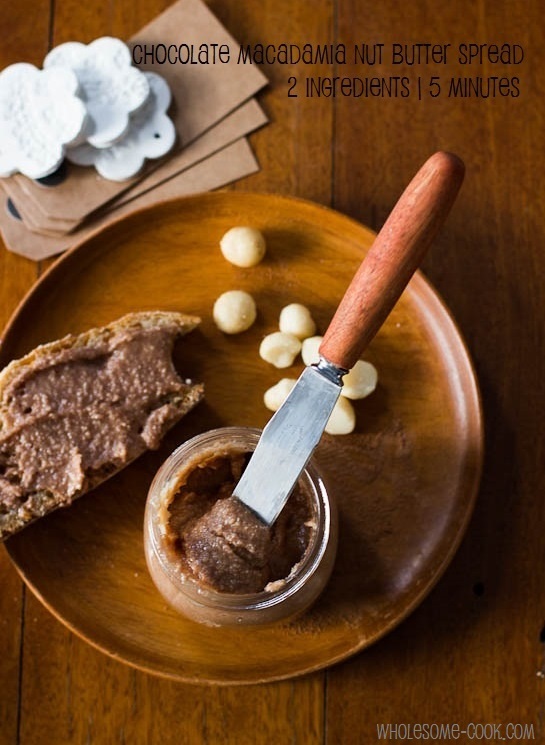 According to the Australian Macadamia Society, which supports over 800 growers nationally, only 50 per cent of Australians are aware of the nuts’ origin! That’s nuts, isn’t it? 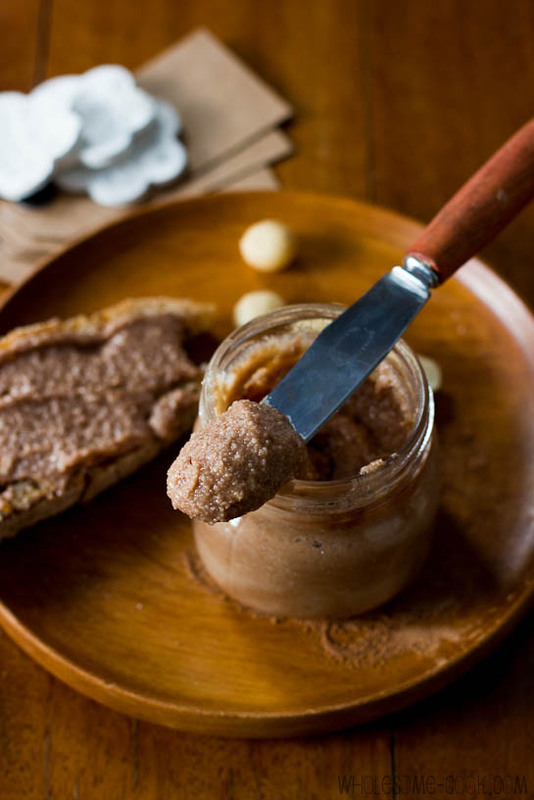 My favourite way of enjoying macadamias, aside from snacking, is in the form of a nut butter. It can be easily whizzed up in a food processor, blender or even a chopping attachment of your stick blender too – the KitchenAid Artisan Blender I’ve been testing worked really well (more about that and your chance to win one on Friday). I used a mixture of whole and half raw and unsalted macadamia nut kernels. For added flavour, because let's face it, chocolate makes many things better, I added raw cacao to the mix but cocoa is fine too, just less nutrient-rich. If you prefer your nut butter sweeter, you could add some stevia drops to the blend for a sugar-free treat. Makes 1 cup. 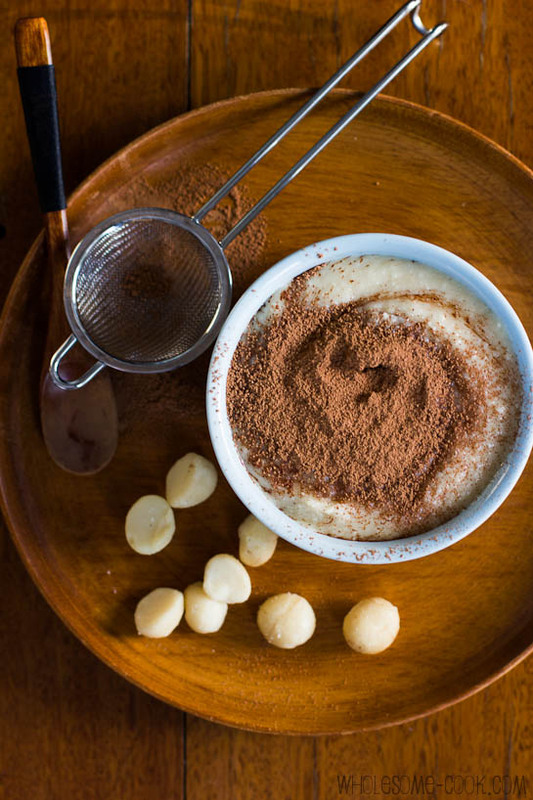 Place macadamia nuts in a blender or food processor. Process on medium-high speed for 3-5 minutes until the oil in the nuts is released and they begin to form a smooth butter. Continue to process until your desired consistency is reached. Add cacao powder, and Stevia drops if using, and mix in. 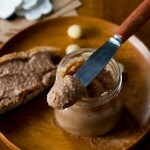 Store Chocolate Macadamia Nut Butter Spread in an airtight container or jar in the fridge for upto 2 weeks. I was just thinking that it would probably not last that long in your house… I’d say around weeks, but to be honest, if kept in the fridge like I do with the whole nuts, it should keep for months really! Isn’t the Australian Macadamia Society wonderful? They sent me some nuts last year along with heaps of information about the nuts. I don’t know of a brand that works harder to get out the word that macadamia nuts not only taste fantastic, they are really good for you. I love macadamia oil too. Ohh I do love Chocolate Macadamia Butter! Thanks for including a link to my Banana Cream Pie, I’ll have to check out the others too! This is surely a delightful recipe ! I shall try it some day. Sounds like this spread is going to be VERY addicting! I can start my day extra happily with this on my toast! I love macadamias, and with a little chocolate mixed in what could be better?! Great idea! I love both macadamias and chocolate. Delish! I must know — how much do macadamia nuts cost in Australia? Here in the U.S. the cheapest I have found is @US$11.00 per pound (a little less than half a kg.)!!! I wanted to bake a batch of blondies to send to my nephew at university, but the recipe requires about $6 of nuts! That’s a bit steep for a sweet he and his roommates will consume in about 3.5 minutes…. I used to use macadamias all the time, even using macadamia flour instead of almond flour. A lot of the cost is transportation, as they must fly from Hawaii. I also suspect growing residential and commercial development is reducing the available land for agriculture, not to reducing water supply. Then if you want organic, as I would prefer for a food easily penetrated by pesticides, you are looking at double the price…I should not complain, I can get all the organic lemons, limes, kaffirs, grapefruits, even dates that I want for free — but I still want to bake with nuts! I am a grower of macadamia nuts in Hawaii. They truly are delicious and $11 is cheap for 1 pound. I receive $1 per pound when they are still in shell to processing companies. They deduct from the $1 a percentage for the amount of moisture that in them, the amount of “bad” nuts they find, 5% for removing husks, and more which then generally comes to .70 to 75Cents per pound. Having someone else pick your nuts costs around $10 per bag (weighing 85-95 pounds.) averaging out to about 65 cents per pound. Buying raw nuts is about $13-$17 a pound. And I forgot the fertilizer, pruning etc.. must be deducted from the 75 cents.